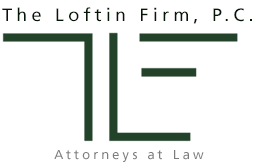 The Loftin Firm, P.C. has established itself as providing high-quality legal services with an emphasis on creative resolutions. The Firm brings our experience and expertise to evaluate clients' business and personal goals, the economic climate in which we all must operate, and the changes likely to occur that might affect these decisions. It is the Firm's goal to provide each of its clients with highest quality of personal service in a courteous, cost-effective, and professional manner. The Firm has experience representing various clients, including individuals, developers, brokers, publicly- traded companies, internationally diversified companies, and governmental agencies. The Firm has over thirty-five years of experience in the legal field and is one of a handful of firms that has experience in mobilehome park / manufactured housing law. Our experienced attorneys are licensed to practice at both the trial and appellate level, from simple landlord/tenant and collection issues to large corporate and class action suits. The Loftin Firm, P.C. offers comprehensive real estate services to our clients.The Firm offers decades of experience serving the legal needs of commercial property owners, investors, developers, commercial tenants, and other individuals & businesses. As the founding partner of The Loftin Firm, P.C., I am proud to offer professional and creative solutions to assist our clients with their varied legal requirements. The Loftin Firm is a dynamic full service civil law firm, serving the needs of clients throughout California in the areas of real estate, finance, corporate law and litigation support for these areas, as well as trusts and estate planning. The Loftin Firm has established itself as providing high quality legal services with an emphasis on creative solutions and individual attention. We are a client-focused law firm, which is passionate about our work and dedication to providing the highest quality of legal services, at competitive rates for the benefit of the Loftin Firm's clients. Mr. Maniscalco joined The Loftin Firm, P.C. in 2009, and works in business and real estate law-leveraging his experience and penchant for research to solve problems. Whether it be drafting or negotiating an agreement, to navigating administrative law for a land use entitlement, to laying the foundation for successful litigation, Mr. Maniscalco looks for the most cost-effective, logical, and ethical solutions for his clients. As an advocate for small business, he emphasizes planning and legal compliance to save cost and avoid future loss. Mr. Maniscalco is a San Diego native, growing up in Orange County. He studied computer science, economics, and literature at Marquette University, graduating with a Bachelor of Arts in English. 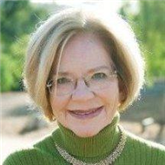 Alexander returned to California and attended the University of San Diego School of Law, focusing on real estate, corporate, and administrative law. While at the University of San Diego, Mr. Maniscalco counseled and represented clients through the Perspectives in Criminal Justice Clinic, and the Land Use Law Clinic-where he received recognition for top performance. He also worked part-time for a developer of master planned communities, assisting in land use entitlement and related environmental and contract law. Prior to joining the Loftin Firm, Mr. Maniscalco worked at Apple, Inc., and served as a Vice President and key legal and technical resource in negotiation and litigation at a residential land development company in Orange County and the Inland Empire. He remains on the Board of Directors there. San Diego County and North County Bar Associations; State Bar of California. California Bar Association, North San Diego County Bar Association.